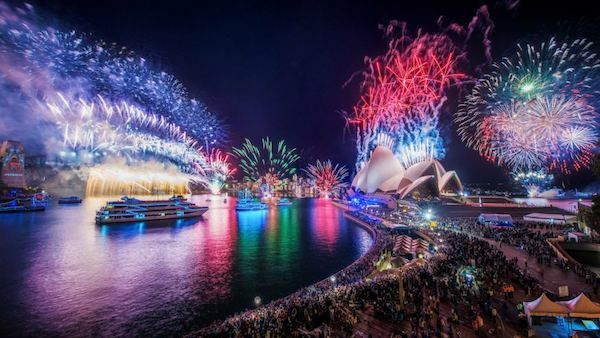 If you hire a boat to cruise New Years Eve on Sydney Harbour you will be sure to have a night you never ever forget, whilst also bing the envy of everyone you know that couldn't be there. 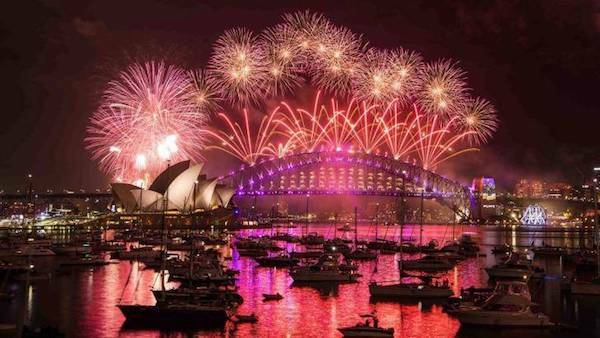 Sydney Harbour is the center stage of the world on NYE and when you cruise New Years, people from all corners of the globe will be looking right at you on your party boat. We have lots of boat hire options available for a Sydney New Years Eve cruise ranging from ticketed events where you attend a party on a boat with other guests to private harbour cruises where the boat you hire is yours exclusively for the night. Ticketed harbour cruises are the cheapest option if you want to cruise New Years, and you only have a few people. They usually include all food and drinks for the night as well as a DJ. They are more of an all inclusive New Year Eve cruise on a party boat but there are some BYO options available as well. A private Sydney New Years cruise can be more cost effective for bigger groups and when you hire the boat the cost is for exclusive use of the boat. They are usually charged at a rate that covers the whole boat although some boats do charge per person with minimum numbers of guests being charged for. If you want to hire a boat to cruise New Years it is always best to get in early. People on the shore line see how much fun is being had on a harbour cruise so starting making enquiries and bookings from January 1 each year. It doesn’t take long for a Sydney New Years Eve cruise to get booked out. The boats on this page are some of the boats available for new years cruises. We usually get plenty of other boats make themselves available for a new years eve cruise so if you don’t see what you need here just send us a message with your requirements and we can give you an update with what other boats are available. New years cruises are one of those things you just have to do at some point in your life. If you get the opportunity you should cruise New Years as often as you can. Sydney is a city that really embraces it’s harbour culture making New Years Eve cruises such an amazing experience. You wont find a city anywhere else in the world that has such a magnificent harbour as it’s centrepiece with so much buzz and activity on the water. For those that want to cruise New Years be prepared to pay a little more than you would to hire a boat than at other times of the year. Prices do go up but with such a large range of new years cruises on offer there are some options that are quite affordable, and as the price scale increases the calibre of boat increases as well. There are a few options for getting access to new years cruises and by far the most sought after are private new years eve cruises. This is where you have a boat for your group alone and you have a private party on board. The entry level options are usually BYO and allow you to provide your own food and drinks. At the other end of private new years cruises are the fully catered luxury options from super yachts to luxury motor yachts. These are VIP boats with VIP catering and VIP service. The price represents what you get in the way of boat and inclusions. The other is ticketed New Years Cruises. This is where you buy tickets and join a new years eve cruise party that have anywhere from 100 to 800 people on them. Some are huge events with live DJ’s, others have live bands and smaller ones have a more low key atmosphere which is great for families with children. If you decide to look at boat hire for New years cruises at the entry level prices you will be looking at a basic boat with a stereo and all the essential facilities. The crew on these boats are great and are there to help you have a good time safely. Some boats like Neptune allow you to use the BBQ for free and most are happy for you to BYO food and drinks on New Years cruises. Some boats can provide catering and drinks but New Years cruises on the cheaper boats do not include the catering as part of the package. Prices are usually pretty reasonable though and some people prefer to have their new years cruise taken catered so that they can relax and have fun. The higher end of new years cruises are for those looking to have night with VIP treatment. The most sought after cruises are new years cruises on super yachts. They usually cost anywhere from $1,100 - $1,500 per person for a private new years eve cruise, which includes food and drinks. There are minimum numbers of guests required and everything is first class from the moment you step on to the boat to the moment you step off. Some of our clients have chosen to cruise new years with a large group and then once the party is over they have keep the boat for themselves overnight to really get the 5 star experience. AQA is usually one of the first superyachts to book out for new years cruises so it is a good idea to try and get in early. The best advice we can give for a new years cruise is to get in as early as you can. Each year people try to book their new years cruises at the last minute and as expected most people miss out. New Years cruises are limited in availability but we do our best to find everyone boat.